It started with what was thought to be a false statement. A report of an assault in city of Musashino, Tokyo. The victim Tsukiko, and her obsure details of the inicident, lead others to believe that this maybe staged and ahoax. But, soon after a second victim arises, and things turn. 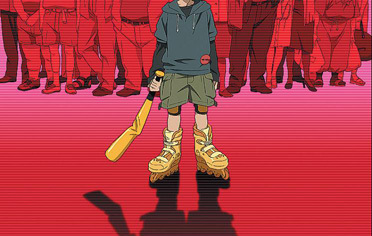 The onece ficticious suspect, a boy with a bat wearing rollerblades, is now reality. The “Batboy” continues to reek havoc on people now involved in this bizarre tale. Who is this “Batboy” and what are his motives?